Polo T-Shirts are the order of current fashion scenario, hence this one from Stop will be an excellent pick for you. 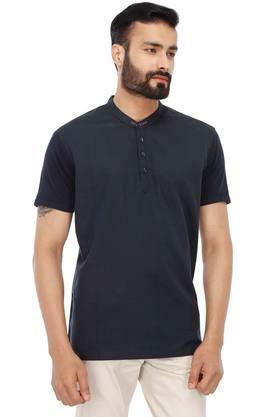 It comes in a solid pattern that renders it trendy. 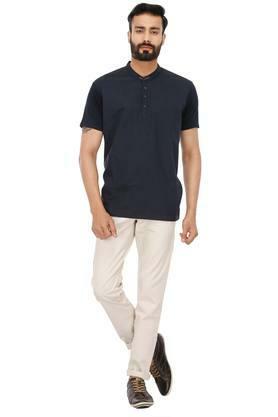 Besides, it scores quite high on the comfort quotient as it is tailored with care using superior quality fabric. 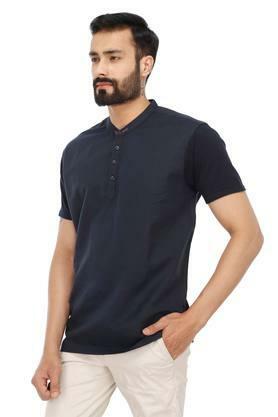 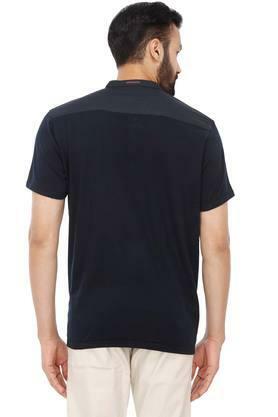 For any casual outing, give this polo T-Shirt a stylish spin by clubbing it with a pair of cargo pants and moccasins. Crafted from good quality fabric, it will provide you with optimum comfort.